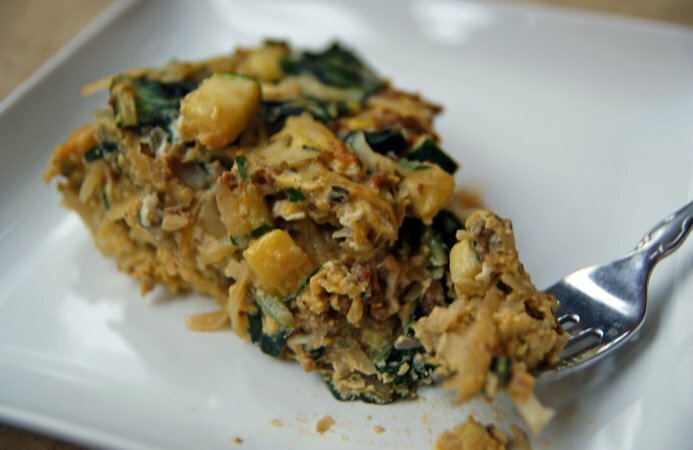 Fresh from the backyard comes this quick and easy dinner idea for a chorizo and chard frittata. 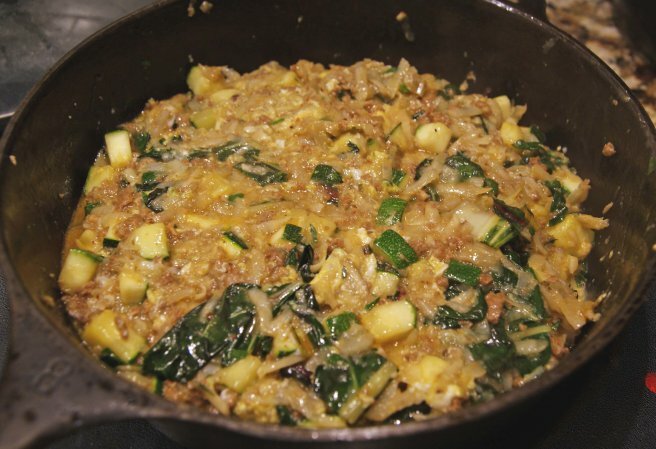 The original recipe calls for only Swiss chard, but you can utilize just about any leftover vegetables you’re trying to get rid of – we had half a zucchini in the fridge, so in it went. The chorizo adds a nice kick of flavor, but since there’s so much other filler, it’s not too spicy. 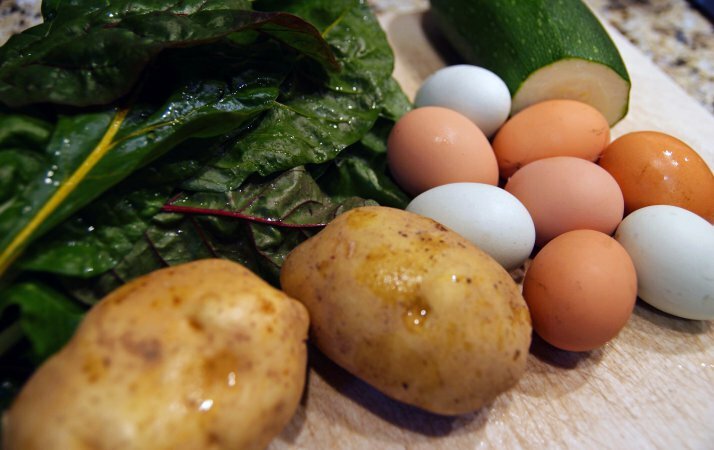 In a medium bowl, whisk together the eggs, herbs, salt, and pepper. Heat the oil in a large cast iron (or other oven-safe) skillet. Add the chorizo and cook for 2 minutes. Add the zucchini and potatoes, cooking for several more minutes, or until they start to soften. Add the chard, cooking until wilted. Flatten this mixture into an even layer in the pan. Preheat the broiler. Add the egg mixture to the skillet and spread evenly over the top of the vegetables. Cook for about 5 minutes, lifting at the edges to let the egg flow underneath. After the edges are set, move the skillet to the broiler for a final 3-4 minutes, or until the top is lightly browned. Don’t walk away – I’ve made that mistake several times, and all it takes is an extra minute under the broiler to ruin a meal!